When Rya Williams takes her children to the playground, she has to worry about more than most parents do. Her checklist includes frequent bathroom trips, changes of clothes, the cleanliness of the park, the accessibility of the equipment, the friendliness of other kids, the size of the park and constantly keeping an eye on her children. Because her two young sons are on the autism spectrum and her daughter has developmental delays, Williams must always be prepared and alert during casual trips to the park. But above all else, she worries about what every other parent worries about — her children having fun. When Williams heard about the Town of Chapel Hill’s plan to build an inclusive playground — one that would be accessible and welcoming to children with special needs — she saw it as an opportunity not only for her kids to have fun, but also as an opportunity for special needs families and “neurotypical” families to interact with one another. She hopes this park will be a safe space for neurotypical families to learn more about children with special needs. “I think that by special needs and neurotypical children and families playing together, that it will start conversations, and that it’s a place where maybe parents who have questions about their kids could talk to another parent and get resources and get ideas,” Williams said. Planning for the inclusive playground began in early 2016 when Cedar Falls Park was selected as the site for the playground. The Chapel Hill Parks and Recreation department is still in the process of making the design plans. 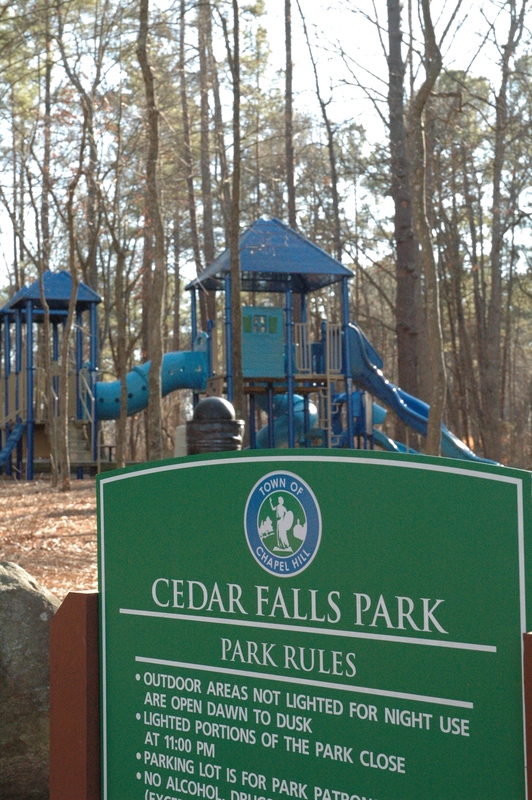 Cedar Falls Park, the site of the Town of Chapel Hill’s new inclusive playground. According to the Town of Chapel Hill’s website, the city’s newer playgrounds meet the requirements of the Americans with Disabilities Act, but the goal of this inclusive playground is to go above and beyond those requirements. Bill Webster, the planning and development manager for Chapel Hill Parks and Recreation, said the playground will be inclusive of children with all levels of physical and mental abilities. He said the vision for the play area is not to separate children with special needs from children with typical development, but rather to create spaces where they can play alongside each other. Marla Dorrel, founder of the Kids Together inclusive playground in Cary, said following the seven principles of inclusive design will make the Chapel Hill playground a welcoming place for everyone. “If you start with those, then what you’re doing is you’re not creating a special place for special people, but you’re creating an environment that works better for everyone,” Dorrel said. The Town of Chapel Hill is using the Kids Together playground as a guiding model. Parks and Recreation has also hosted two public workshops for people to give input on the design of the playground. The public will have another opportunity to give feedback when the design plan is finalized and posted to the Parks and Recreation website, which Webster said he anticipates to occur in late winter or early spring of 2018. “We’re going to be looking at all these ideas, people’s preferences, the realistic limitations of funding and future funding and try to come up with a plan that works for everybody,” Webster said. Webster said building the playground will likely occur in phases as funding becomes available, and he estimates the cost to be over $1 million. There is no timeline as to when construction will begin or end. The funding for construction will likely come from the 2015 parks fund, which is a sum of $1 million designated for Parks and Recreation projects. However, the money will first fund several other projects before it will go toward the construction of the playground. 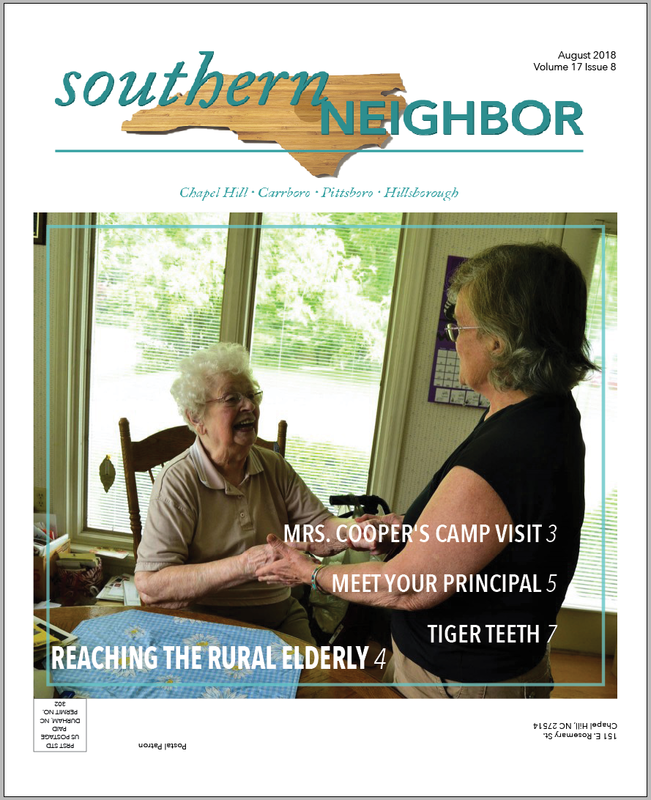 Webster hopes fundraising by the Friends of Chapel Hill Parks and Recreation can also cover some of the expenses. Webster said the inclusive playground will be much larger than other playgrounds in Chapel Hill. He said most people think of wheelchair accessibility when they think of accessible parks, but this playground will be inclusive of children with all types of disabilities. Enough space is essential in order to have quiet areas where sensory-sensitive children can relax. Other potential elements of the playground include fencing, ADA swings with full support seats, sand play, natural exploration areas, sensory gardens and picnic shelters. Webster said the design is not fully developed yet, but many of these features have been requested by the public. Edith Resnick, a Pittsboro resident who has two 14-year-old grandsons with autism, said she hopes to see equipment that would interest older children as well, such as the challenge courses and climbing equipment that can be found at Apex Community Park. Resnick said she thinks physical activity is important for her grandsons and all children with special needs. She hopes the inclusive playground can provide an opportunity for such activity. “They’re identifying more and more children with these issues, and frankly I think the physical exercise and outdoor activities are something that are very beneficial to these kids,” Resnick said. Dorrel said tree shade and other natural elements are important for inclusive playgrounds, and the Kids Together playground took some time to develop these features. She hopes Chapel Hill Parks and Recreation will take into account these elements during the planning process. “I would also say look beyond equipment and think about topography, think about plants and especially think about shade,” Dorrel said. Williams said she hopes the playground will provide well-maintained grass areas, sand play and inclusive pod swings. Ultimately, she wants the inclusive playground to foster community and understanding among all types of families. “There’s often talk about a lot of the challenges, but a lot of our kids — they have challenges, but they have multiple talents or gifts, and it’s good for all kids to play together because it’s really cool to see what other people can do,” Williams said. Any donations would be greatly appreciated. To donate, go to https://friendschparksrec.org/support/. Please make sure to designate “Inclusive Playground Donation”.